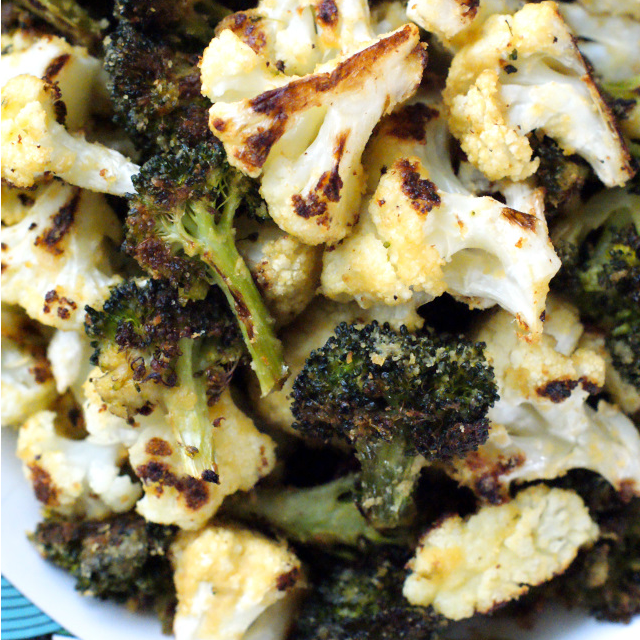 Hummus Roasted Broccoli and Cauliflower is a 4-ingredient side dish made by tossing the veggies with cool creamy hummus and roasting them in the oven until they are crisp and caramelized. I am kind of obsessed with hummus. Once I learned that it is so easy (and cheap) to make at home, I've been a hummus makin' fool. Which is good because I've been working my bootie off trying to shed a few pounds (hello, food blogger problems) and hummus with fresh veggies has been my go-to healthy snack when I get the urge to munch. I am also kind of obsessed with roasted vegetables. Any vegetable, doesn't matter. Tossed in olive oil, seasoned with some salt and pepper, and roasted until all golden and crispy and caramelized. Give 'em to me every meal, every day, forever. For realz. I had this brilliant idea that I should combine these two food obsessions of mine. Hummus + roasted vegetables. It was a success! The hummus gives the veggies some great flavor and they still get all crispy just like I like them. You could totally make this with just broccoli or just cauliflower, but I happened to have both in the fridge so I went for a combo. Hummus, broccoli, and cauliflower go together like peas and carrots. Do you think you'd like it? Give it a try and let me know what you think! 1. Preheat your oven to 425 degrees. 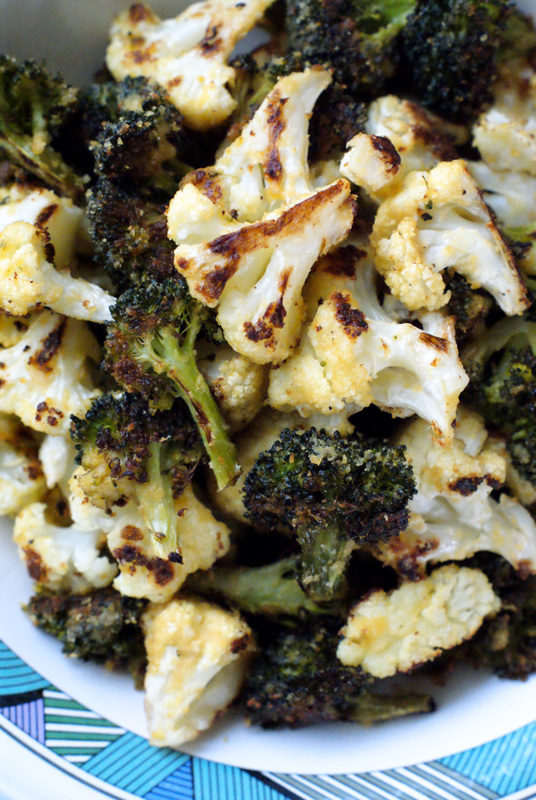 In a large bowl, toss the broccoli and cauliflower florets with the hummus and olive oil until evenly coated. 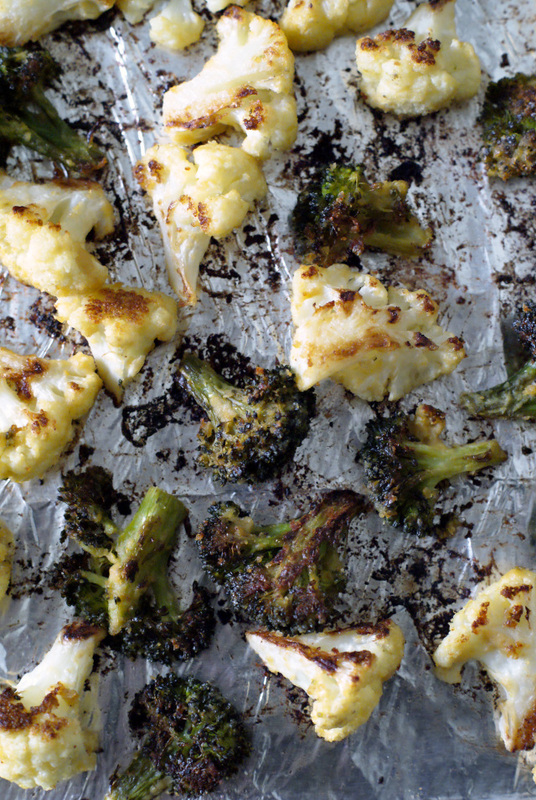 Arrange in a single layer onto a foil-lined baking sheet and season with salt and pepper. 2. Roast in the preheated oven for 15 minutes. Remove from the oven, flip each piece, then roast for an additional 5 minutes. 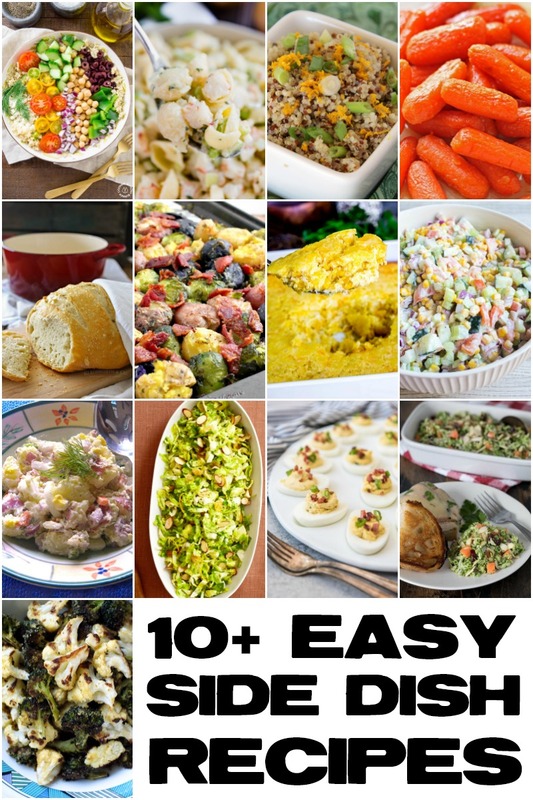 Try this with flavored hummus! Follow on Instagram and search #twobitefitclub to follow my weight loss journey!